Push-button returns light to your favorite level. Slide adjusts light to suit any activity. Installs like a standard switch. 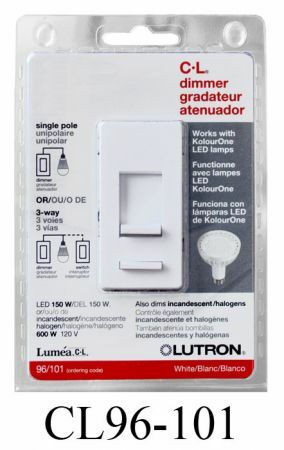 Available in 3-way models when the lights are controlled from more than one location. 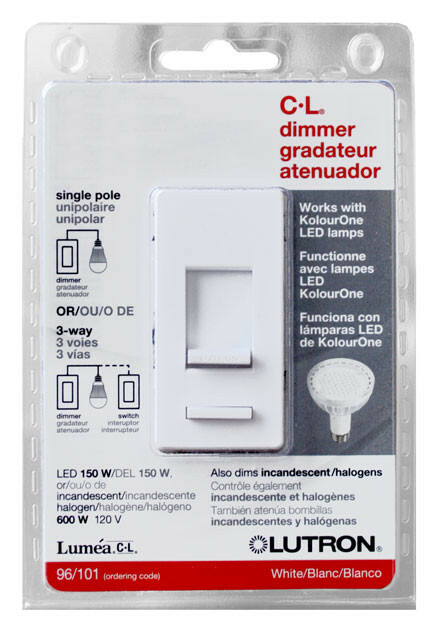 Also available with eco-dim® feature (dimmer guarantees you at least 15% energy savings compared to a standard switch). 120 V 60 Hz • 150 W dimmable CFL/LED or • 600 W Incandescent/Halogen or • Mixed bulb type per Multigang and Mixed Bulb Type Ratings table (see page 3) Environment • For indoor use only. • Operating temperatures 32 °F to 104 °F (0 °C to 40 °C).